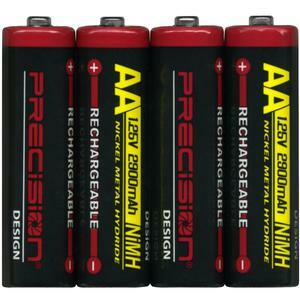 Superior performance and economical operation. 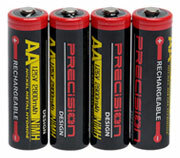 These high-performance Precision Design AA Batteries are specifically designed for use with today's high-tech devices. 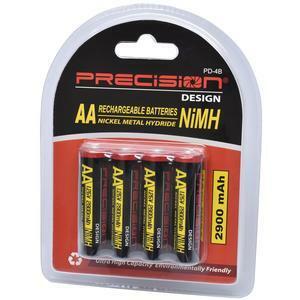 A wise alternative to costly disposable batteries, manufacturers universally recommend the use of rechargeable batteries for superior performance and the most economical operation of digital cameras and other electronic devices.